As a guy who loves to do things in spreadsheets, often using lookup-functions, pivot-tables and auto-filter to integrate data and get to what I need, I still don’t consider myself to be particularly high on the technical curve. By this, I mean that I’m comfortable working up to my elbows in the data – but I leave abstracting it out into enterprise systems to the “IT folks”. Considering the semantic spreadsheet capabilities described here on this ReadWriteWeb post, and the related comments, I think the real value lies not so much with the spreadsheet user (which seem to be the assumed target), but with the enterprises for which the spreadsheet-ers (if that’s a word) are working. As was noted in the post and comments, people who aren’t capable of leveraging the serious capabilities of Excel itself won’t likely be able to navigate the system described here. 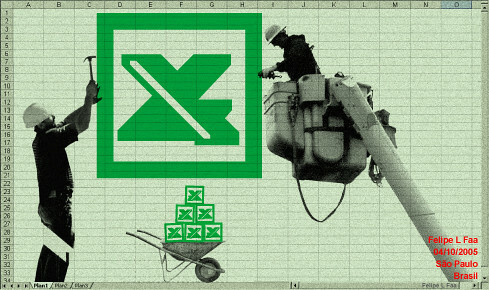 At the same time, those who can could likely achieve what they need through Excel functionality. More skill than that, and you’re talking about “real IT people” who could perform the work in databases. The value proposition seems more centered around enterprises being able to allow their “non-technical” people to work in environments they can easily handle (i.e. spreadsheets), while the enterprise can reap the benefit of the collective work of the spreadsheet-ers by using the semantic capabilities to integrate the disparate datasets of their forces. Perhaps there are other, stronger methods to accomplish this without requiring work forces to swim in less friendly waters than spreadsheets, but I leave that to the “more technically inclined”.